Dairy-free yogurt has seen a boom in recent years, and there are now dozens of brands to choose from (we think these are the best). 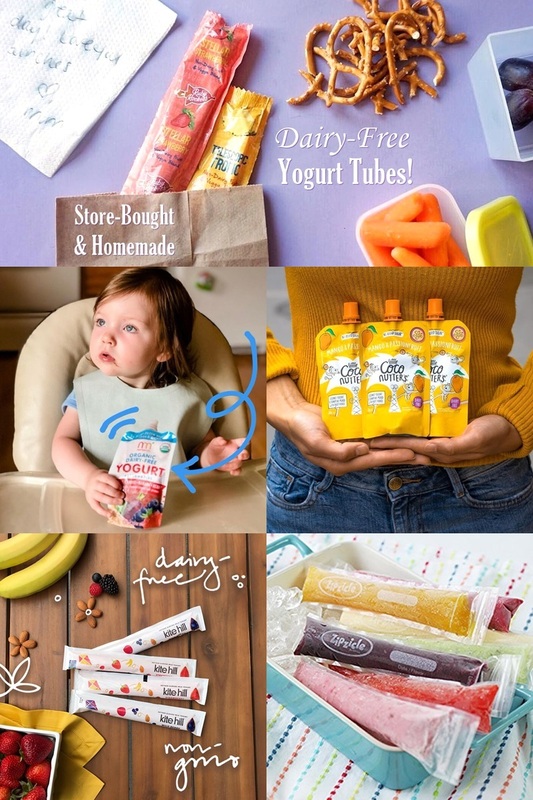 With so much competition, manufacturers are squeezing into new markets, including dairy-free yogurt tubes! All of these products are shelf-stable, which means you can keep them in your pantry for a quick lunchbox item or snack-on-the-go. If you or your littles prefer them chilled, then you can store them in the refrigerator. But I would avoid freezing the varieties that contain probiotics. Freezing might destroy some of the tummy-friendly cultures. These are made with a blend of fruits, vegetables, and coconut cream, and have no added sugars. 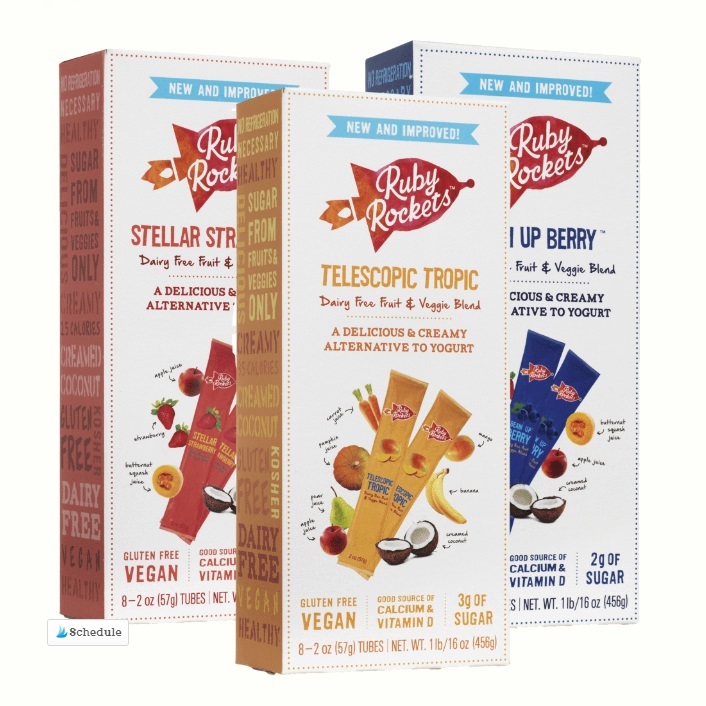 They were also reformulated recently to contain a good dose of calcium and vitamin D.
Pros: Each tube contains just 1 gram of sugar (from the fruits and veggies) and 25 to 35 calories. 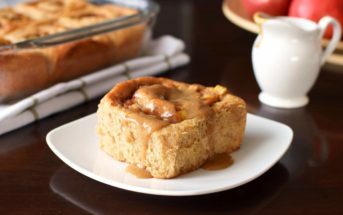 They’re also vegan, gluten-free, and made without top allergens. Plus they contain 100% of the RDA for vitamin C, and are fortified with a little calcium and vitamin D. And they’re shelf stable! Cons: The new formula contains carrageenan and they don’t contain any probiotics. Believe it or not, a lot of yogurts (like Go Gurt) don’t either! Ingredients (Strawberry): water, strawberry puree, fruit and vegetable blend (apple puree, pumpkin juice concentrate, butternut squash juice concentrate), banana puree, corn starch, waxy rice starch, calcium blend (calcium lactate, cholecalciferol), creamed coconut, natural flavor, malic acid, ascorbic acid, xanthan gum, carrageenan, purple carrot (for color), stevia extract. These adorable pouches are made by Coconut Collaborative, one of our favorite dairy-free yogurt blends. The pouches are a blend of fruit purees and their classic, creamy, dairy-free coconut yogurt. Pros: These kid-friendly pouches are made without any added sugars, gluten, or top allergens. They’re also vegan and stocked with probiotics. Cons: They’re only sold in the U.K. thus far. We’re not sure if they need to be kept refrigerated or cold. Kite Hill fans will be happy to hear that their artisan almond milk yogurt now comes in dairy-free yogurt tubes. 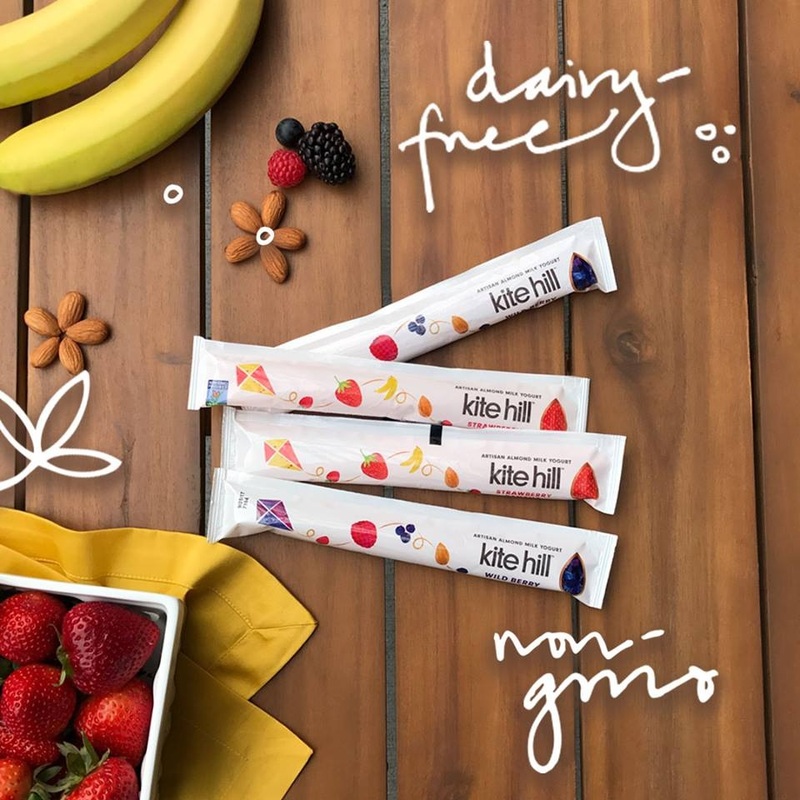 They are kind of like Go-Gurt copycats, but Kite Hill’s version is lower in sugar, plant-based, and carrageenan-free. And these dairy-free yogurt tubes contain probiotics from four strains of live active cultures. Pros: It’s vegan, gluten-free, and soy-free, and is more modest in sugars than many yogurt brands. Cons: This brand is certified Kosher D.E. for dairy equipment, which could be a concern for some people with milk allergies. It also contains almonds, so it won’t be suitable for schools that have nut-free policies. And it looks like they need to be kept refrigerated or cold. These creamy, fruity pouches contain a pure blend of vegetable purees, fruit purees, quinoa milk, coconut cream, and pea protein. 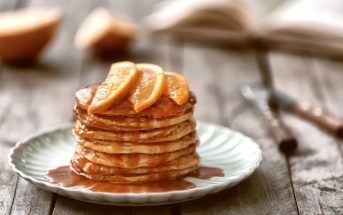 They are not only made without added sugars, but also without juice! 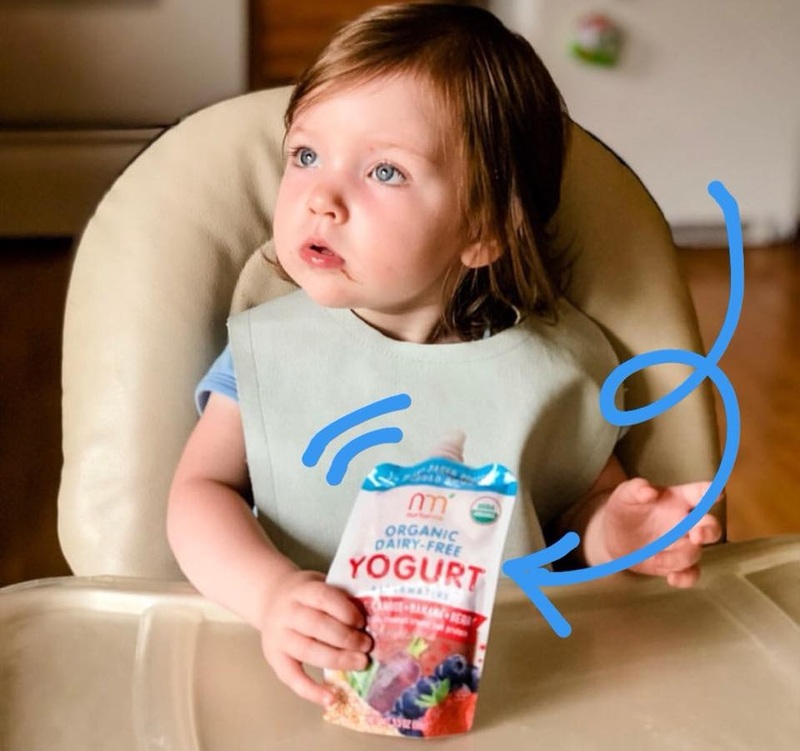 Pros: There are no added sugars, and these pouches are vegan, gluten-free, certified organic, certified kosher pareve, and made without top allergens. They are also shelf-stable, and can be bought on Amazon. Cons: These are also void of probiotics. First, pick up some zip-top ice pop pouches. Then, grab your favorite dairy-free yogurt. For convenience, cost savings, and flavor variation, we like to get the larger plain or unsweetened tubs, and blend different fruits into small batches. Now, using a funnel, pour your favorite dairy-free yogurt into the pouches. If the yogurt is thick, you might need to shake the funnel and pouch a little to get it all in. Zip to close the pouches and store in the refrigerator for up to 1 week, depending on the yogurt brand and type. The dairy-free yogurt tubes can be frozen, but this might affect both the consistency and the survival of the probiotics. 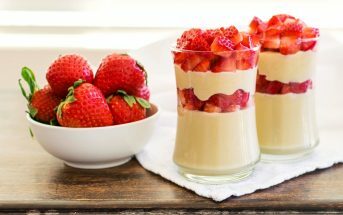 Homemade dairy-free yogurt tubes won’t travel as well as the store-bought versions mentioned above. If you opt to pack them along, then include a cold pack. 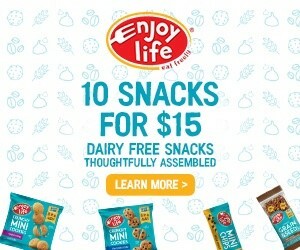 Otherwise, you can enjoy them at home as an after school or weekend snack. 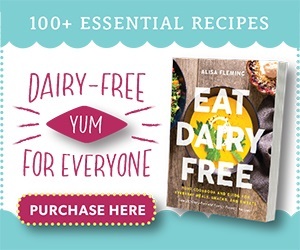 For More Dairy-Free Living Guidance, Enjoy Go Dairy Free! I love all the new dairy free items are becoming easier to find. We do like the nurturme products. I haven’t seen all of these yet but love that there are now smaller and lunch friendly dairy free yogurt options. 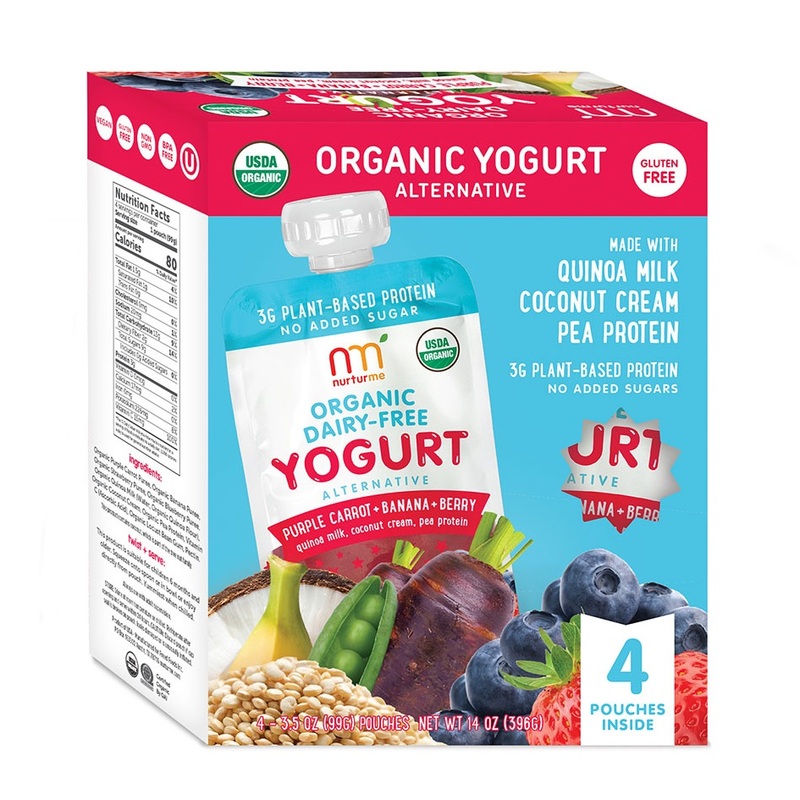 I’m also loving the healthy additives to dairy free yogurt as well since they started out as just being high calorie sugar bombs with not much nutritional value but just a substitue for yogurt. I couldn’t agree with you more Sarah. I like that we’re transitioning away from the high sugar. 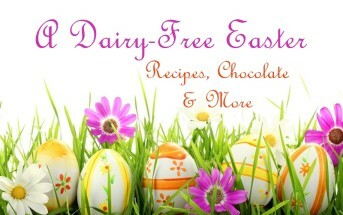 I love how many dairy-free alternatives are on the market! We get coconut collaborative here in Germany but only the pots. I find it a little pricey, but like to splurge once in a while. That stuff is worth a splurge, I agree! Yes, a couple of the brands are great for travel! It is so great that so many options exist…will keep these in mind! Thanks for sharing! those DIY zip top pouches are awesome too. thank you for showing us some new options! Love the round-up! There are so many options these days and I hate regretting buying something when someone already knows it’s not worth the $$$! Will you be doing a product review of Oatly soon? If I can find it! Do they have yogurt tubes, too? I’ll take a look!